LRI helps Boards of Directors and other governing bodies develop clarity about their role and that of management – and achieve higher levels of performance. Assess the current systems of governance and identify areas for improvement. Train Board members to appreciate the habits of high-performing Boards. Develop customized interventions to help Boards reach higher levels of effectiveness. Create policies that define the Board’s governing principles, the delegations to staff, and the Board’s strategic priorities. Measure the Board’s performance and provide feedback so that it can continuously improve. Provide coaching to Board leaders so they can excel in their roles. 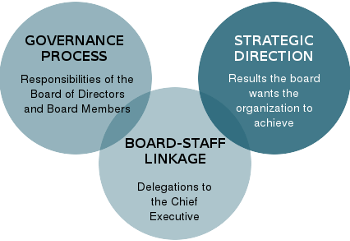 View our board governance consulting and board development case studies. Check out examples of client experiences.